Trends in food are moving in favor of methods that are better for animals, people, and the environment – but it’s not always simple for producers to cater to the demand. 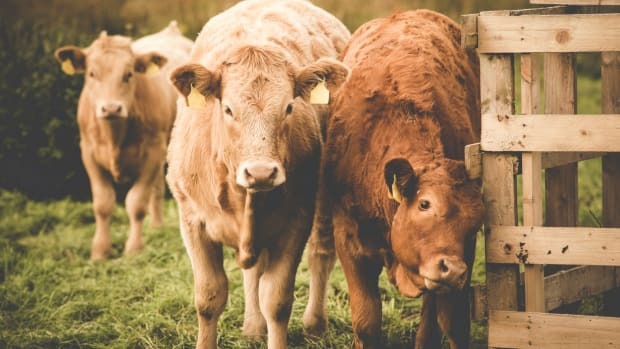 Organic and grass-fed farming methods are far more expensive and difficult to do right than conventional, which is why when communities and cooperatives make it even a little bit easier for farmers to do the right thing, we need to take notice. 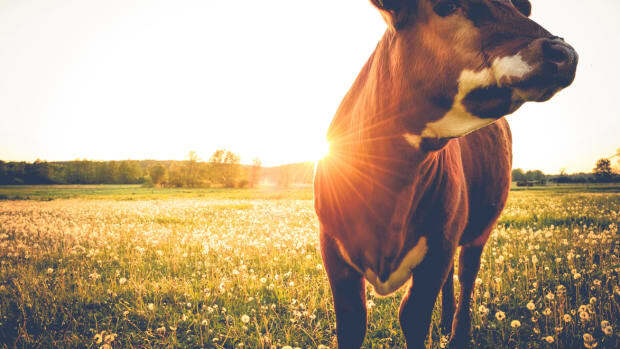 Maple Hill is an organic grass-fed dairy cooperative that has invested an enormous amount of time and effort into creating grass-fed dairy that lives up to the hype – and the company is taking a giant leap in rewarding farmers for doing the right thing. Today, Maple Hill is a 150-family-farm-strong grass-fed dairy cooperative, but back in 2003, it was just one family and one farm. Maple Hill founders Tim and Laura Joseph had no farming experience, in 2003, but Tim Joseph had known he’d wanted to be a farmer since he was thirteen. They purchased Stone Creek Farm in 2003 and quickly decided to invest in the regular paycheck that dairy brings. 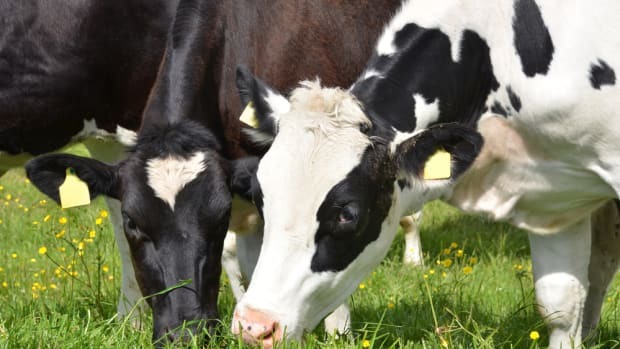 In 2004, they began producing conventional dairy, with an eye towards transitioning to organic as soon as possible, a move that became official in 2007 – and led them to become champions for organic, grass-fed dairy almost by accident. 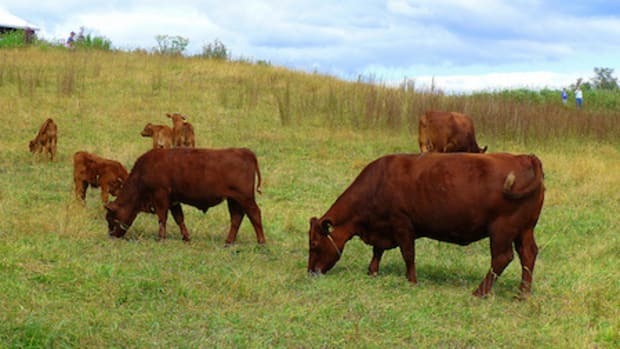 While they had long been interested in grazing, it was the recession that really brought about the transition to grass-fed, Tim Joseph recounts. With invaluable help from Tim&apos;s sister Julia and her husband, Pete Meck, the Josephs toiled to overcome their lack of funds and began producing organic, grass-fed yogurt, which they sold at farmer&apos;s markets before seeking out their first distributor. “That’s sort of where the seeds of the current Maple Hill began,” says Joseph, noting that in 2010, they brought on another farm to help meet growing demands. Growing demand for grass-fed dairy helped the farm to grow too: in 2012, the creamery could no longer support increasing orders. The families sold the original farm and moved to Stuyvesant, New York, where a larger facility helped them found the extremely successful operation they run today. Today, Maple Hill produces whole and reduced fat milk, reduced fat chocolate milk, and raw milk cheddar and gouda-style cheeses, all made with 100 percent organic, grass-fed dairy. 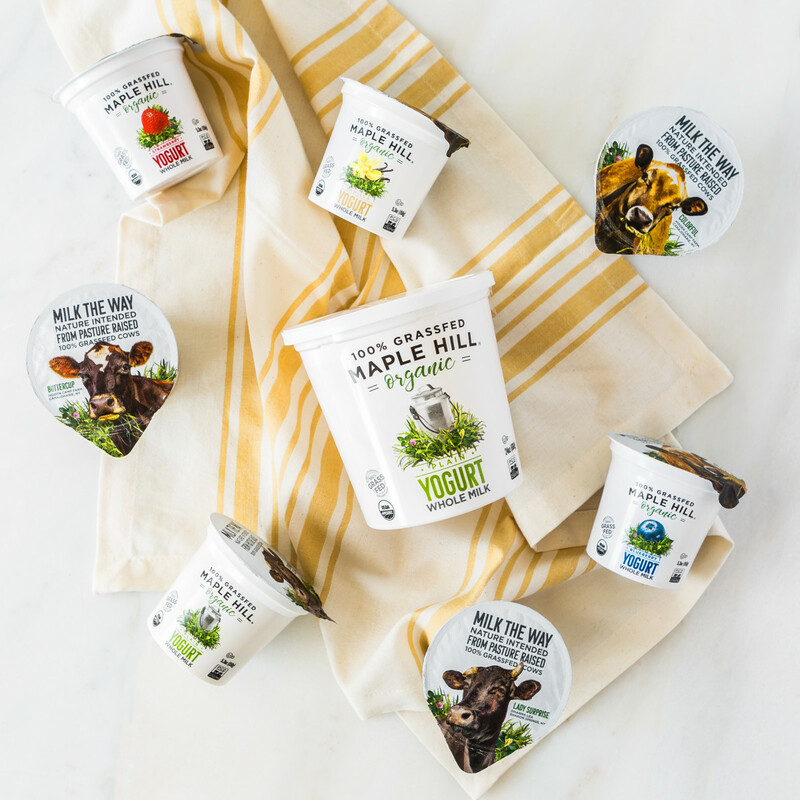 The company’s flagship product – yogurt that Tim Joseph first created on his kitchen stove – is now available in a variety of flavors as well as in blended, drinkable, and cream-on-top varieties. From their first discovery of grass-fed dairy, the Josephs have remained committed to grass-fed principles. 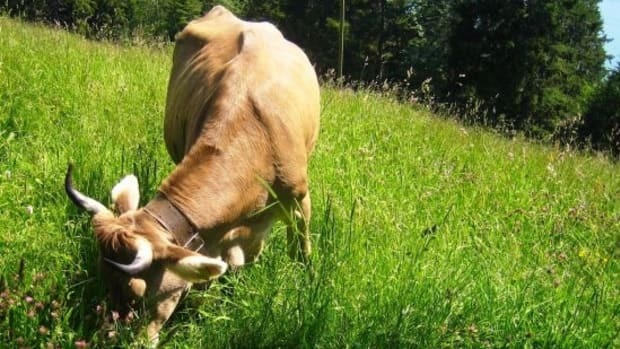 Grass-fed dairy, after all, is not only superior for the environment, thanks to a reduced need for fossil fuel in the shipping of grain and a cyclical rebuilding of soil naturally stemming from the grazing process, but it’s also better for the cows themselves. And of course, consumers reap these benefits as well: Grass-fed dairy has a superior ratio of omega 3 to omega 6 fatty acids than conventional, a ratio that aligns far better with the research published in the American Journal of Clinical Nutrition exploring the recommended intakes of these essential fatty acids for improved health. But studies have shown that not all "grass-fed" dairy has the same nutritional profile. Last year, the Washington Post found that some organic dairy, which is supposed to be grass-fed at least part of the year, had omega fatty acid profiles more closely aligned with conventional, proving that some dairy claiming to be produced from grazing cows isn&apos;t – or at least not in the way that most consumers expect it is. For Maple Hill, grass-fed means 100 percent grass – no grain or alfalfa in the system, not even for calves. 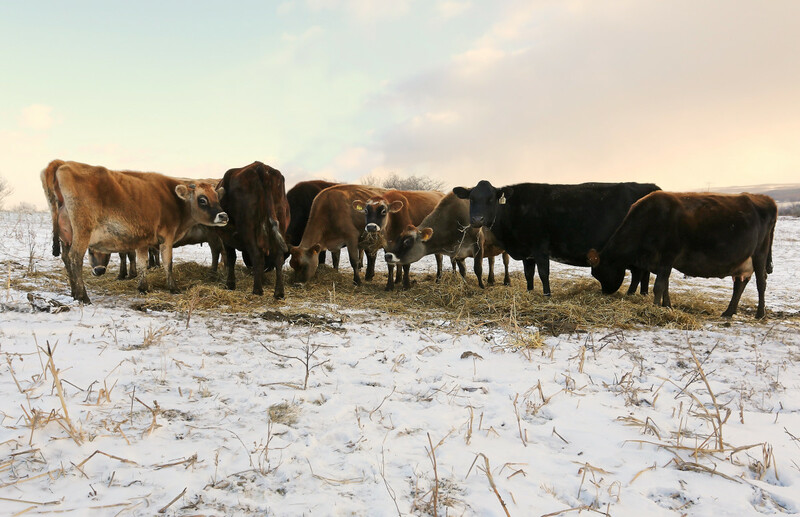 This means that cows graze on pasture in the spring and summer and eat hay or baleage in the winter months. As part of their belief in this system, the Josephs have embarked on a two-part journey as champions of grass-fed. Most dairy farmers, Joseph explains, are paid on commodity volume, a method that gives farmers no financial incentive to go the extra mile. But Joseph notes that there are practices that farmers can undertake that "enhance the milk, and also the wellbeing of the cattle and the financial viability of the farm,” practices that Maple Hill wants to reward. 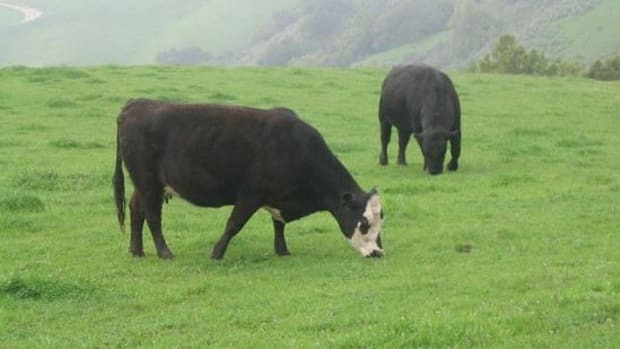 Farmers who have put themselves at a real financial risk to do the right thing, Joseph notes, should not have to compete with farms that are calling themselves grass-fed without living up to the healthier, more costly standards. “But we still carry on,” he says, noting that the foundations for the program are already underway, with in-depth monitoring of individual farms&apos; practices, from calve-raising methods to organic matter in soil to grazing plans. 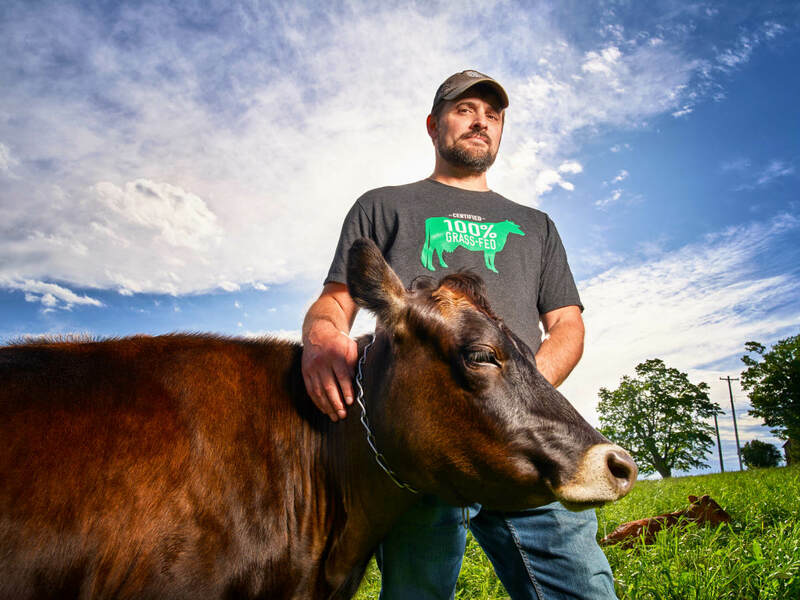 The Josephs are also keen on ensuring that consumers seeking out grass-fed dairy can find farmers producing these products the right way, something that has brought them to lead the charge in favor of a truly grass-fed label. Until recently, no certification has existed for grass-fed dairy, and a USDA grass-fed beef certification was retracted by the USDA in 2016. The lack of certification has contributed to confusion and false labeling. "It is frustrating, candidly," says Robbins. "I mean, all we&apos;ve ever done is been 100 percent grass-fed." 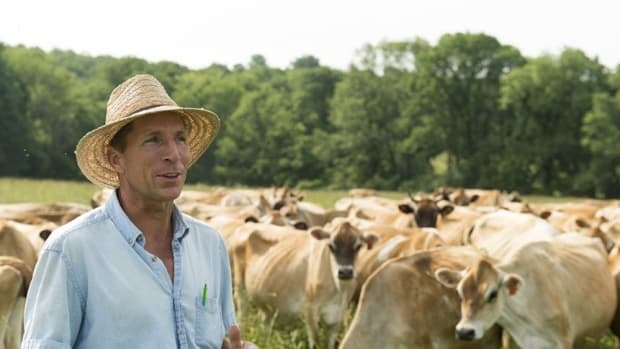 But along with Organic Valley, the nation&apos;s top producer of 100 percent grass-fed, organic dairy, Maple Hill has championed a voluntary grass-fed standard that will assure consumers that farmers are living up to the very high standards followed by Maple Hill farmers. While the Josephs’ work has now gotten them a lot of media attention, they remain humble. Is Grass-Fed Beef Disappearing for Good? 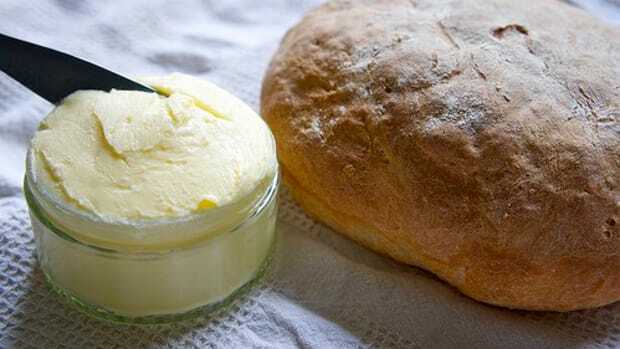 Is Grass-Fed Butter the Better Butter? Meaty Showdown: Grass-Fed Beef or Grain-Fed?